Judge Michelle Schauer sitting in the Family Court in Westchester County recently dealt with a difficult custody case. The father and mother of the child, Madison, were not married. Both of them had submitted applications to the court for sole legal and physical custody of their daughter. A custody agreement was worked out. The agreement had a parenting plan in it. 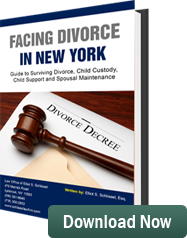 Shortly after the agreement was executed, the father brought a proceeding in the Family Court of Westchester County before Judge Schauer claiming the mother had violated the terms of the parenting plan contained in the custody settlement agreement. Father alleged that the child’s day care provider had raised serious concerns about the mother’s behavior at the time her diaper was being changed. An investigation was undertaken by the Administration for Children’s Services. The investigation determined that the allegations regarding sexual abuse of the child were unfounded. In spite of this determination, Judge Michelle Schauer granted the father temporary custody. The mother had argued that there was no change in circumstances involving the child, Madison, that would suggest that a temporary change in custody was needed. However, during the course of the proceedings, the mother’s older daughter revealed to a teacher that she had been molested. An issue was presented to the court that because of her being molested she might become a perpetrator who would sexually molest Madison. The court felt the mother had exhibited a complete inability to recognize and deal with her older daughter’s serious emotional problems. The judge stated in her decision this was a significant factor in making a determination it was in Madison’s best interests to give custody to the father. The court specifically found the father was the more fit parent. He was granted sole legal and physical custody of Madison. The mother was granted visitation with the child.